When girls have the freedom to learn, earn, and save without harm, their health and wellbeing increases, they become empowered to make their own decisions and take control of their own lives. Investing in girls is the right thing to do, and the smart thing to do. When girls have opportunities, whole families become stronger both economically and socially, student numbers increase, agricultural productivity goes up, while rates of child marriage, teen pregnancy, and HIV/AIDS go down. Right now, products and services are rarely designed for, marketed to, or distributed to the majority of the world’s adolescent girls — they are an underserved market. Girls have enormous potential. Well-designed products or services can give a girl the space and security she needs to learn, the time she needs to work, and the ability to launch a business of her own. Khushbu, 16, lives in Sariyakandi Sadar, Bangaldesh. 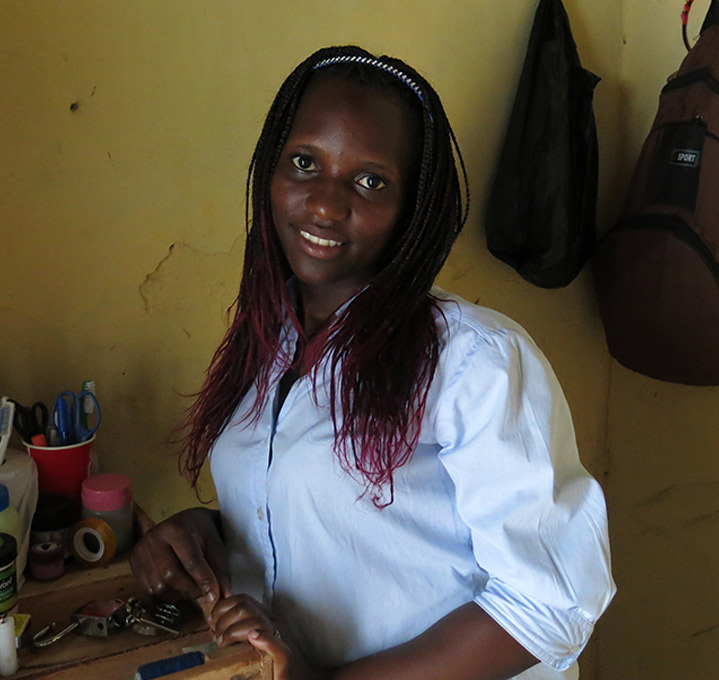 She has just completed her Secondary School Certificate and, despite having to take take in tailoring work to support her mother’s small home-based business, has done well. Her parents have agreed to let her complete her studies, and she is hoping to go to college to train to be a teacher. Khushbu has started tutoring younger children to save money for college, as she knows that it will impose a burden on her family. Khushbu is worried about the future. She fears that her parents are supporting her studies so they will have to pay less dowry when she marries, as they did with her older sister. For some, the 250 million adolescent girls living in poverty worldwide don’t make an obvious consumer base for profitable companies. But girls who have an opportunity to reach their full potential make vibrant local economies possible. They’re motivated, responsible, eager for change and willing to spend what money they have when presented with well-designed products that help them keep safe, earn, learn, and save. By positioning their products and services correctly and forging the right public-private partnerships, businesses can tap into this underserved market, unleashing a world of good (and good business) in the process. 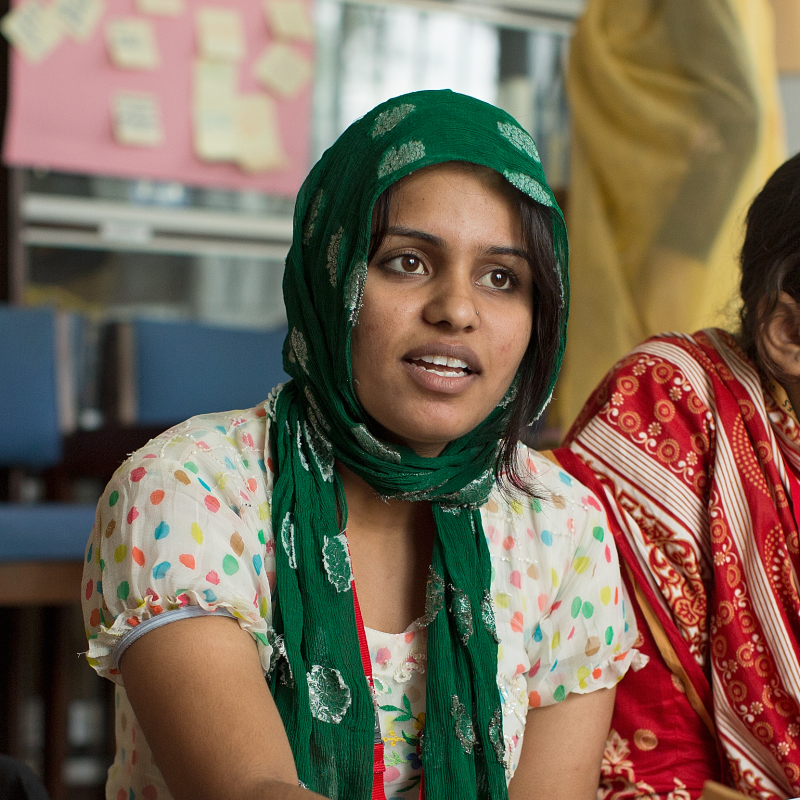 Watch “The Girl Effect: the clock is ticking” for a summary of the challenge and opportunity. Read The Girl Declaration, the 5 goals and 7 principles that can create a better future for girls and end poverty for the world. Read the ground-breaking report Voice and Agency: Empowering Women and Girls for Shared Prosperity. Read SPRING Technical Director Dr. Rebecca Calder’s paper, Adolescent Girls and Education: Challenges, Evidence and Gaps.